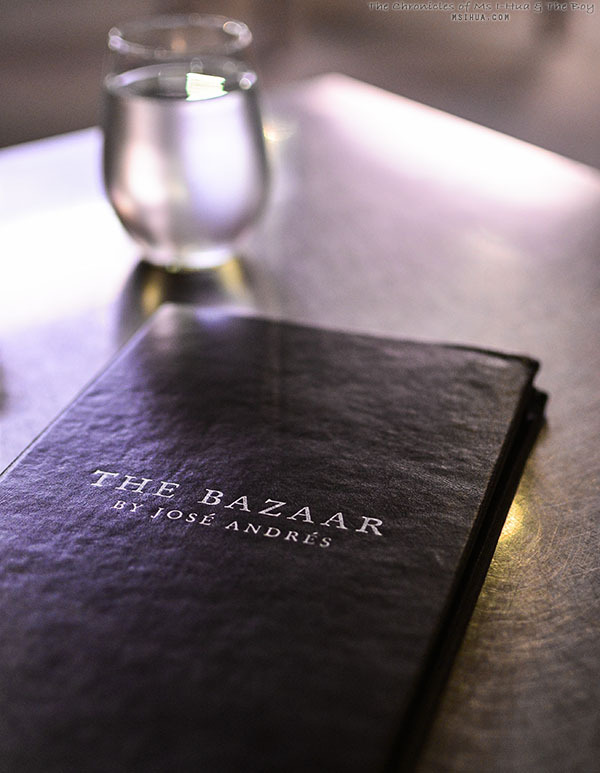 LA: The Bazaar by José Andrés @ SLS Hotel Beverly Hills, L.A.
Wow! I can’t believe it’s taken us this long to start putting together our epic trip to America last year. Yep! If you were hiding under a rock and missed the middle of last year by not following us on our Instagram accounts, you are forgiven! So just for the rest of you who weren’t following our journey (or if you did, this is the recap). After a very very long flight from Melbourne to Auckland to Los Angeles, we touched down on the afternoon of the same day which we left Melbourne on. As you can see, with all that flying, the time zones were messing with my head real bad! Despite the slight jet lag, we were both just so super excited to finally be on our holiday. We weren’t going to let a silly thing like lack of sleep and jetlag slow us down. We had places to be, things to see! We checked into our hotel in Beverly Hills (Beverly Hills Terrace) and to chill out prior to our dinner reservation at The Bazaar by José Andrés later on that evening. After a shower and a brief nap, we kicked each other out of bed so that we wouldn’t fall into the jet lag trap. Evil things they are. Getting around places in sparse LA is not too difficult, provided two things. One, you either have to be prepared to pay cab fares (and tips); and/or rent a car and be brave enough to drive on the other side of the traffic (we like to say the wrong side, the Americans like to say the right side, but whatever). To provide ourselves (and you) a true experience, we did both of these whilst in LA, and to be honest, I much prefer the third option of walking (more on that in the next post). When we got to SLS Hotel, both The Boy and I were thankful that we decided to dress up for it. It is true what they tell you about LA, people are all dressed up to be seen! Particularly in Beverly Hills! It was a surreal experience and we felt as if we were on a sitcom or something. Back to the restaurant. It had such an interesting layout and atmosphere that I don’t think we’ll be able to describe it properly, but we’ll try. The restaurant is essentially one wide open space, divided into three sections. 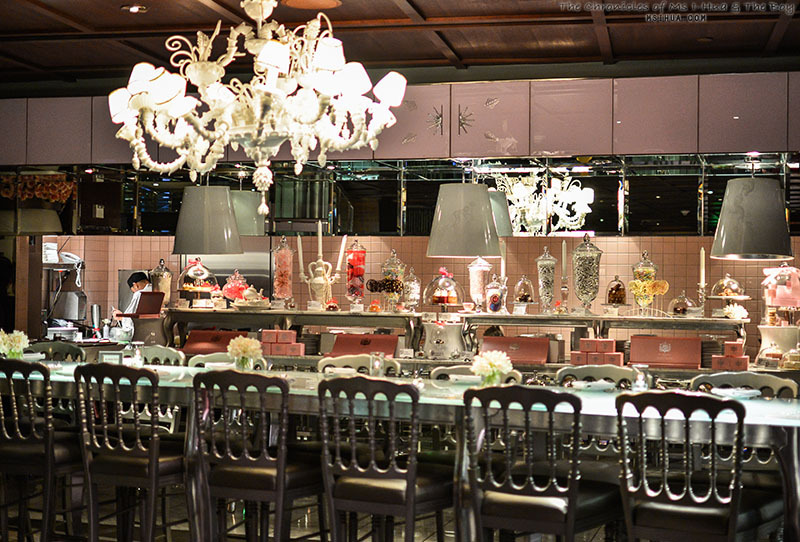 The Bar, the dining area and the dessert parlour which also acted as the gift shop. The bar area was a bit like a night club, the restaurant was like a set from The Fifth Element (but classier) and the parlour was like a tea party at the Mad Hatters complete with a candy bar! As we provided our name to the hostesses, we were guided to our table. It was so great that we were placed right in front of the kitchen area. We couldn’t have asked for a better seat in the house! Having read various reviews on Trip Advisor about restaurants being snarky with people brandishing cameras in their interior, we hesitantly asked our waitress if this was the case. She laughed and told us that we were more than welcome to take as many pictures as we liked! She probably detected our Aussie accents and knew we were harmless tourists! Phew. The menu was exciting and different all at once. 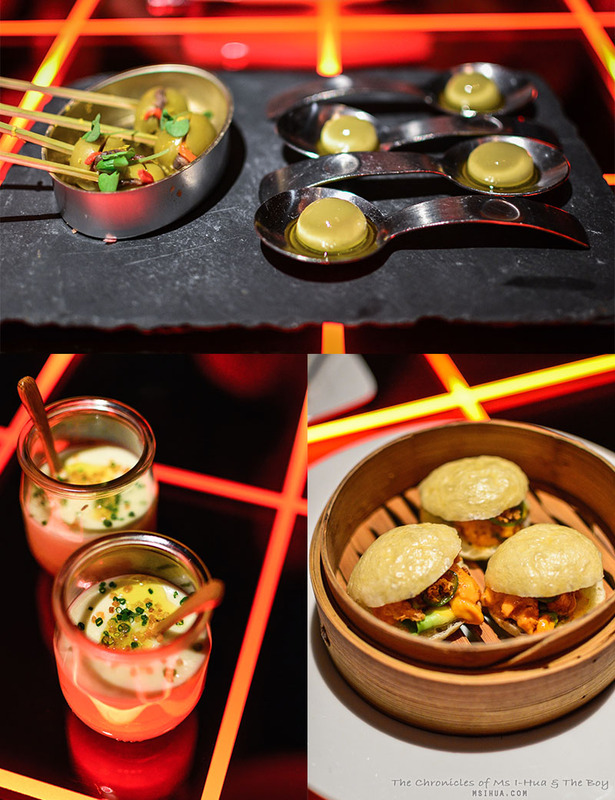 A mix of modern cooking with hints of flavours from different cultures accentuates the menu at The Bazaar. 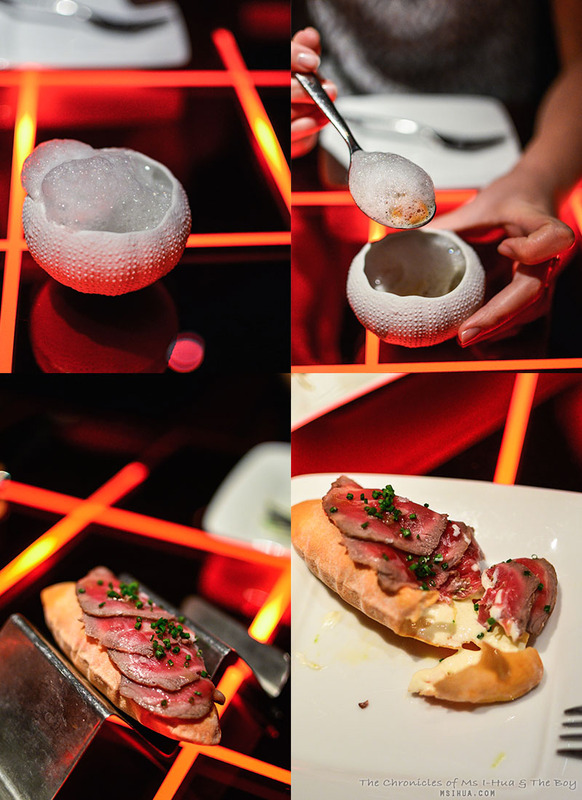 Fun, playful, delicious, the food was just joyously presented and even more so happily consumed. I definitely loved the atmosphere and vibe of the restaurant and just wished that we had something similar in Melbourne to visit. Any moment, I was expecting the Mad Hatter and the White Rabbit to come out of the Alice in Wonderland-esque surrounding to tell me to put butter in my tea! 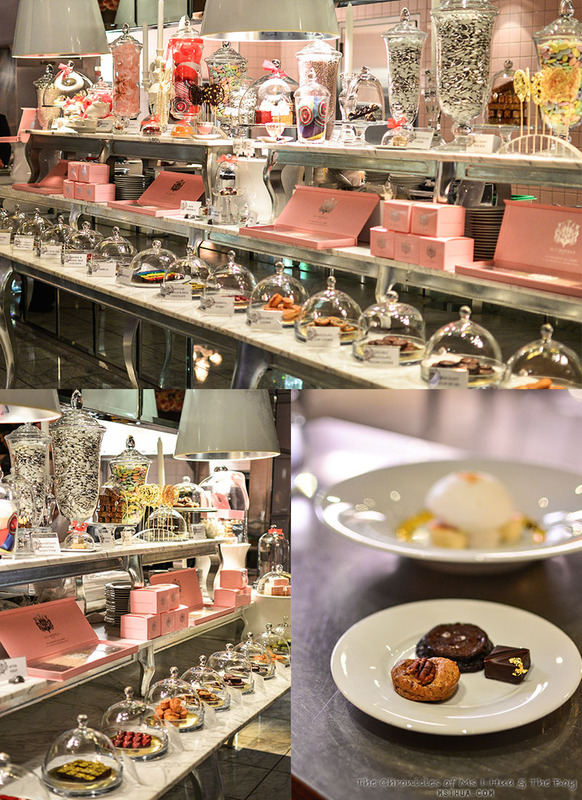 Even though we are not huge dessert fans, we still felt like little kids let loose as we purveyed the Candy Bar and argued about what to have! Common sense eventually won out, as we knew we couldn’t go too crazy with our very first meal upon landing in America and we had to keep ourselves in check. The fact that we had very little sleep on our way over may have possibly guided us to be less ecstatic as well when faced with so many choices of sugar filled goodies. In the end, we settled for a few small selections (Pecan Pie Cookie $1; Chocolate Fleur De Sel Cookie $1; and Dark Chocolate Pop Mini Tablette with maldon salt and cacao nibs $3); and the famous Nitro Coconut Floating Island with passionfruit and vanilla ($12). All in all, it was definitely a fun-filled and exciting visit for us both. 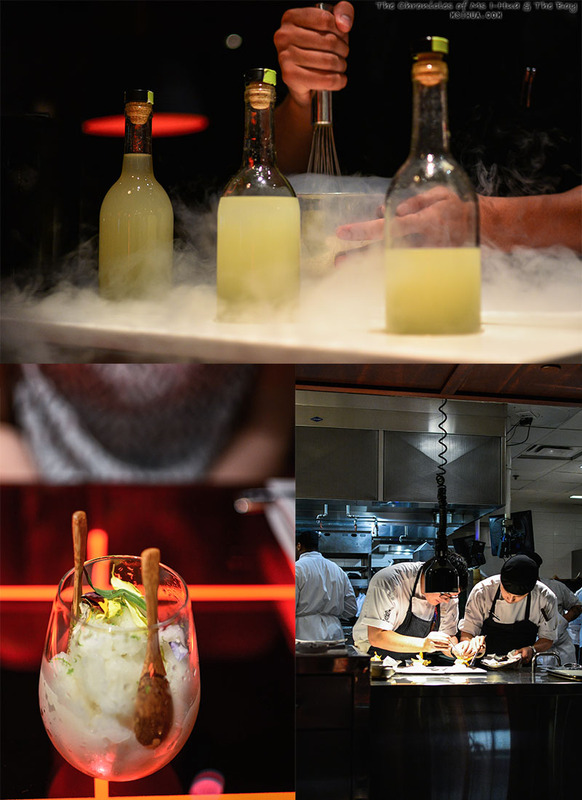 That was pretty much our first molecular casual dining experience and we were just blown away with how theatric everything was. 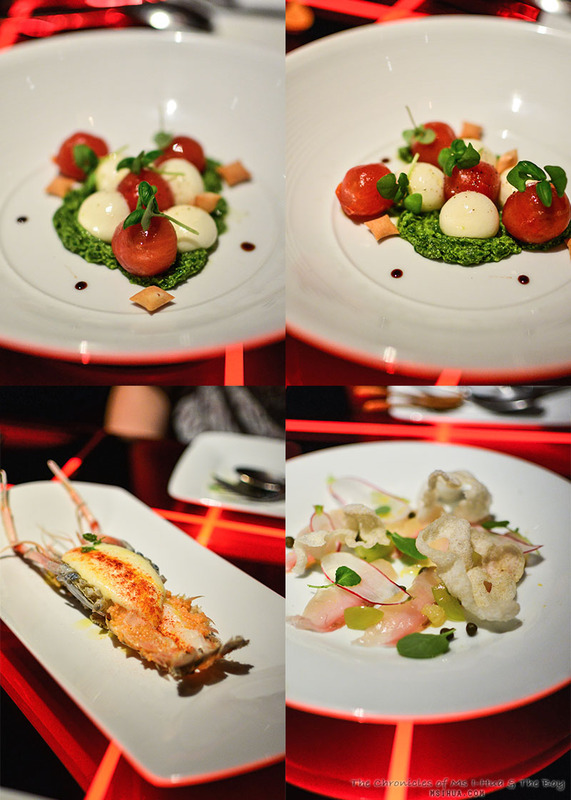 My particular favourite aspect was that there was uni (sea urchin) and lobster everywhere! 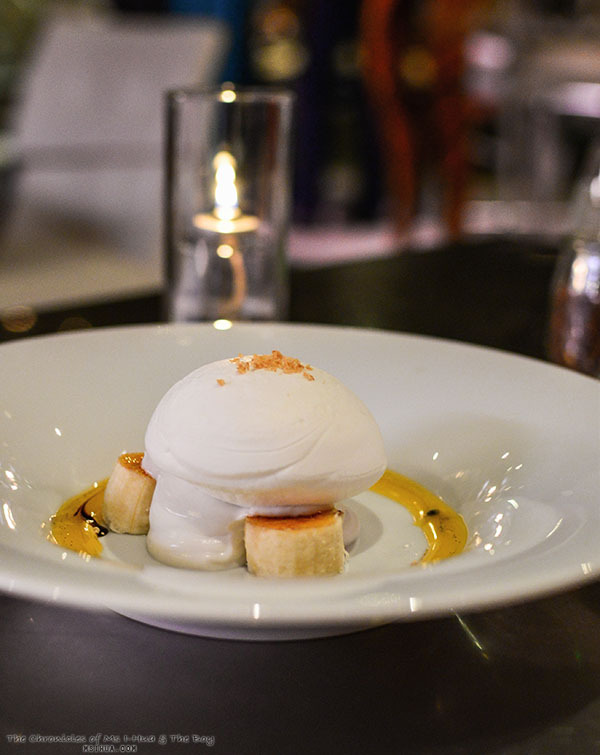 The Boy’s favourite aspect was probably the fact that the molecular gastronomy was just so readily available and not just at high-end fine dining restaurants (as it is here in Australia). As first meals go, the visit to The Bazaar certainly set the bar pretty high and we were excited to tackle the American cuisine head on! We loved our time there and staying at the SLS too! So glad that you got to experience it too!